Emma has worked in the primary education sector for over a decade. She has taught across all three primary key stages providing her with an excellent insight into pupils ‘journey’ from reception to year 6. Most recently, Emma was headteacher of two Ofsted ‘outstanding’ primary schools in North London. She has an excellent reputation and track record in school improvement. Emma’s biggest achievement in headship was taking over a ‘requires improvement’ school and moving it to ‘outstanding’ in eighteen months. 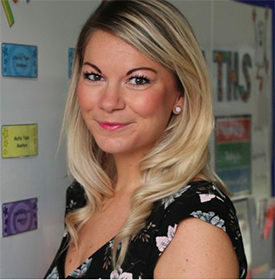 Following the birth of her first child, Emma has branched out into school improvement and now supports schools nationally.